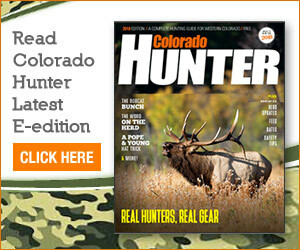 Three young hunters from Northwest Colorado bagged their first turkeys while participating in Colorado Parks and Wildlife’s 2012 Hunter Outreach Program’s Youth Turkey Hunt, the agency reported in a new release. The trio found success after spending late April weekends learning hunting strategies during private land hunt from agency mentors, according to the release. Ten-year-old Henry Musser of Meeker, 13-year-old Antoinette Dorris of Rangely and 10-year-old Tagerty Poole of Rifle were selected from a group of novice youth hunters that recently completed hunter education classes. The focus of the Hunter Outreach Program is to pair young hunters with experienced veterans to help build knowledge and confidence, which is critical for beginning hunters, according to the release. District Wildlife Managers Jon Wangnild, Mike Swaro and Terry Wygant were the primary guides for the youth participants again this year. The skilled wildlife officers taught the youngsters various hunting techniques including the use of calls to locate “gobblers” and how to identify turkey sign in the field, according to the release. To ensure that they received the best information and training, the aspiring turkey hunters were required to go through an additional half-day orientation where they learned more about hunter safety and ethics, state laws, wild turkey biology and hunting techniques, according to the release. Colorado Parks and Wildlife loaned the young hunters youth model shotguns and turkey hunting equipment to participants that did not already have their own. The kids also received hunting gear, prizes and food for the hunt, according to the release. After successfully harvesting their mature gobblers, the youngsters learned how to properly field dress and care for their birds. The Hunter Outreach Program provides skills seminars, clinics, mentored hunts and online articles and information as a means to encourage the public to learn and apply their new skills in hunting and angling, according to the release.